returns an image captured from the portion of the notebook nb that appears on your screen. returns an image captured from the notebook in which the function is evaluated. The notebook nb must be specified by a NotebookObject and must currently be open. If nb is not the active notebook, nb is momentarily selected with SetSelectedNotebook. The image returned may be clipped if nb extends off the screen. 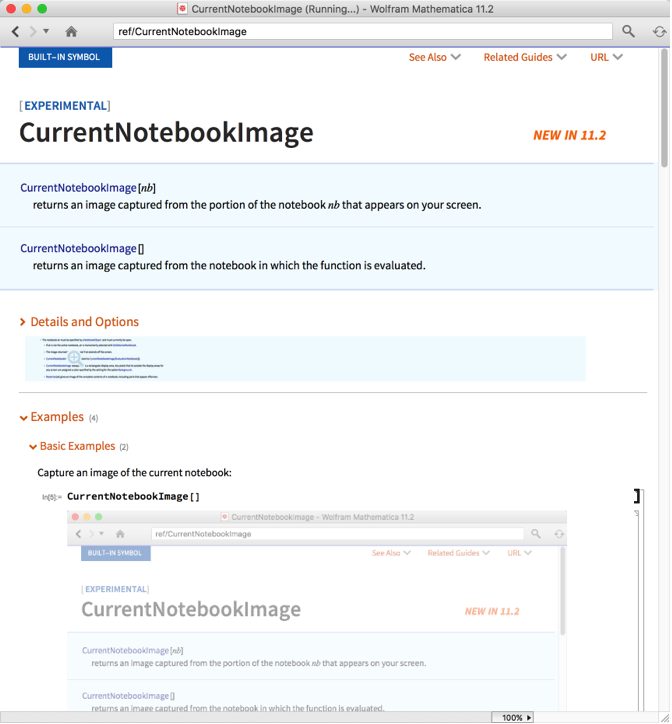 CurrentNotebookImage is equivalent to CurrentNotebookImage[EvaluationNotebook]. CurrentNotebookImage always shows a rectangular display area. Any pixels that lie outside the display areas for any screen are assigned a color specified by the setting for the option Background. 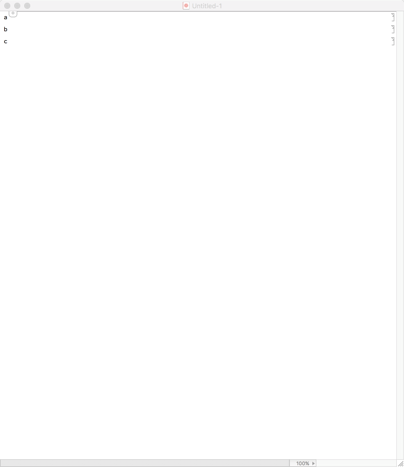 Rasterize[nb] gives an image of the complete contents of a notebook, including parts that appear offscreen.